And what horrific shortlists they were! 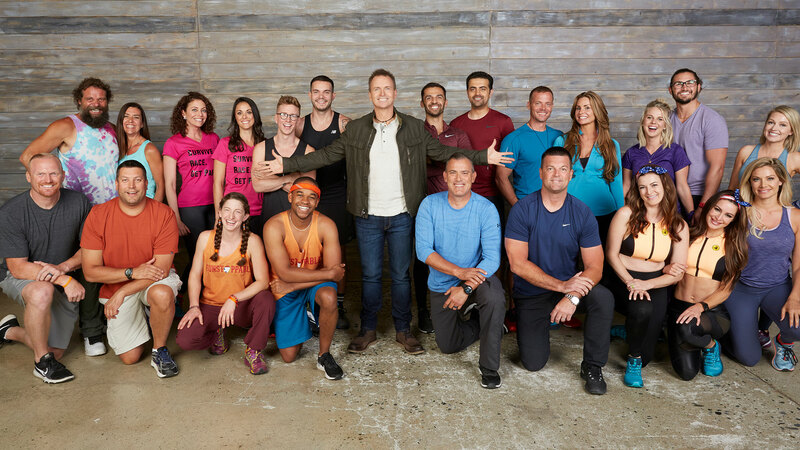 The initial rumors said that TAR31’s cast would be half-Survivor alums and half-Big Brother alums. And that certainly didn’t sound very appealing to many Amazing Race fans, including myself. Especially when The Amazing Race was still hanging on life support. The various rumored shortlists were just horrible. The possible teams that were being floated around definitely did not scream All-Star even. Many on the list especially from Big Brother were just disastrous. But fast forward a couple of weeks later once the Race actually began filming, the actual cast ended up being pretty good actually. If not very safe. Almost too safe even. So knowing who was in the cast for now almost a year has already erased all the negative feelings I might have originally had for this concept. Anyway, let’s get to the teams! Rachel & Elissa – If you’ve followed my TAR recaps over the years, you know Rachel Reilly is one of my favorite Racers as well as probably my favorite Big Brother winner. Once Elissa appeared on Big Brother 15 and emerged as one of the few likeable people on that season, I definitely wondered how fun it could be to see the Reilly sisters Racing together. And now my wish has come true! I think they’re the most interesting team to watch on the Race, competitor-wise. Obviously, Rachel is an Amazing Race veteran and a true TAR All-Star. She is still the only woman to ever reach the Finish Line twice (i.e., never get eliminated). She and Brendon are also the only team to never get eliminated either. But now she’s partnered with Race-newbie Elissa. Seeing their dynamic compared to Brenchel’s should be very interesting. Colin & Christie – Talk about a HUGE shock! It was definitely a pleasant surprise when they suddenly popped up at LAX. Bertram van Munster has been vocal about not being too keen on bringing back older teams. That is, teams from older seasons. Really, the golden years of TAR. So it is very shocking that TAR even remembered Colin & Christie exist, let alone actually asking them to come back. I would’ve preferred they have been called back for a true All-Stars season though. Maybe even Racing against Charla & Mirna. But it should be fun to see them Racing again this time. The Amazing Race is definitely very different now than it was on TAR5 which is now 15 years ago! Janelle & Britney – Alongside Rachel, Janelle and Britney can be considered two of the most competitive and memorable women to ever compete on Big Brother. Actually, they are three of the most competitive and memorable houseguests, period! In addition to being entertaining and fun, they were all strong competitors in both physical and mental aspects of BB. So Janelle & Britney could do very well on TAR. Corinne & Eliza – I vaguely remember both Corinne and Eliza on their respective Survivor seasons and at least remember enjoying their antics years ago. From what I can remember, they have the kind of personality that I usually enjoy on TAR even if I might not root for them to win it all. That is, kind of annoying, but in a fun way. I’m looking forward to seeing them Race. 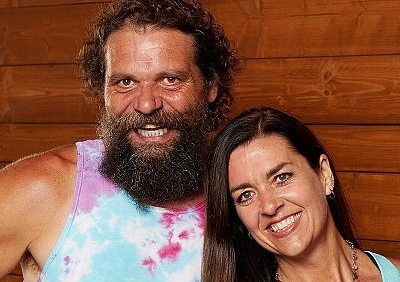 Rupert & Laura – A lot of Survivor fans apparently hate Rupert after all his attempts on the show. But I still remember the Rupert from Pearl Islands and he and his family were even rumored to be considered for TAR8! So it’s no surprise that one of the most recognizable Survivor All-Stars would appear here on TAR. It’s actually a long time coming, to be quite honest. Should be interesting to see how they do on the Race. But I’m not too familiar with Laura. 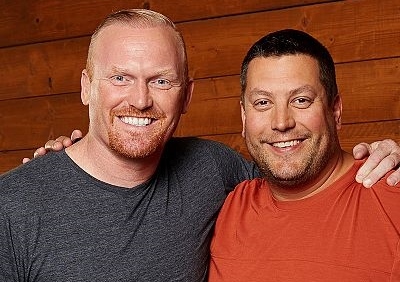 Chris & Bret – Like I’ve said, I haven’t watched a full Survivor episode in years so I definitely know nothing about these two. They seem like the typical alpha male type? Not sure. But they’re definitely a brand new team to me and really the only team out of the eleven that I’m not familiar with at all. 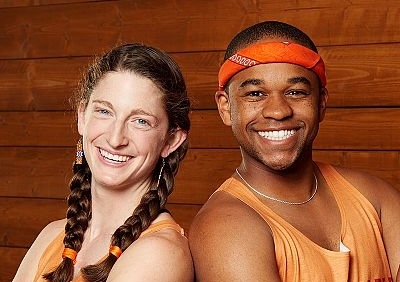 Becca & Floyd – They were okay on TAR29, but their Team Fun shtick got old really quick. There were also some questionable moments throughout their season that felt very awkward and contrived, which adds to their Team Fun shtick being too annoying and fake. Their elimination in Vietnam was definitely heartbreaking though and they certainly deserve another chance on the Race. Leo & Jamal – For a three-peat team, I wasn’t expecting Leo & Jamal, but I also understand why they would be considered. They’re definitely one of the more memorable teams of the HD Era of TAR. And they did well on both their seasons. They were also different teams on each of their seasons, so it will be interesting to see what kind of team they will be here this time around. Nicole & Victor – Since Big Brother 15 was the last BB season I actually followed and watched until Kaycee Clark’s winning run on Big Brother 20, I don’t really know much about Nicole and Victor other than what I’ve read about them from BB fans. They don’t seem like a team I would particularly care for. But at the same time, they are definitely much better than other Big Brother teams (who I actually am familiar with) that were being thrown around as possible teams. Art & JJ – After Colin & Christie, Art & JJ might be the most surprising team on this list. A very unexpected choice to return as I don’t even see them making an All-Stars list, to be honest. But I suppose TAR wanted that “villain” team and they certainly can fit the bill. Though I do know they really just liked stirring the pot in TAR20 rather than being outright evil or villainous. Tyler & Korey – Ugh! Well, I did predict back in 2016 that they would be asked back in the future. And here they are. 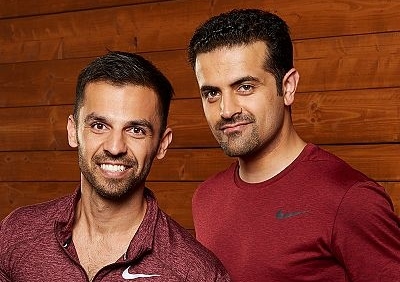 When I think of YouTubers on TAR, I only want to think about the awesome #TeamJumba, Michael & Kevin. And the TAR24 version of Joey & Meghan (who is now officially a Power Ranger! Yay!). 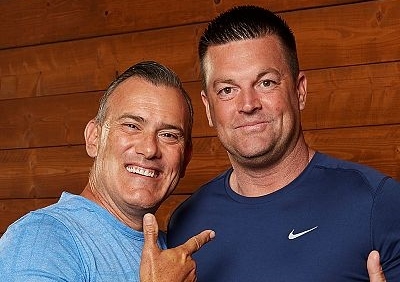 Tyler & Korey were just forced and annoying all season long on TAR28. The kind of fake, put-on persona that I don’t enjoy on TAR. Good for a YouTube video, not so much on TAR. They are probably the team I am least looking forward to watching again. But again, I can see why they would be asked back. Overall, I think this was a very safe cast. While it’s actually a good thing that they stacked the cast with five TAR teams plus Rachel, a more interesting cast would’ve been: three teams each from TAR, Survivor and Big Brother plus two hybrid teams. For example Rachel & Elissa would count as a hybrid team because of Rachel. And then another team consisting of people from different shows. One example is apparently Caleb Reynolds from Big Brother and later Survivor who is good friends with his fellow Survivor castaway Tai Trang. Another rumored Racer was Sandra Diaz-Twine as well and I would’ve loved to have seen her on TAR.